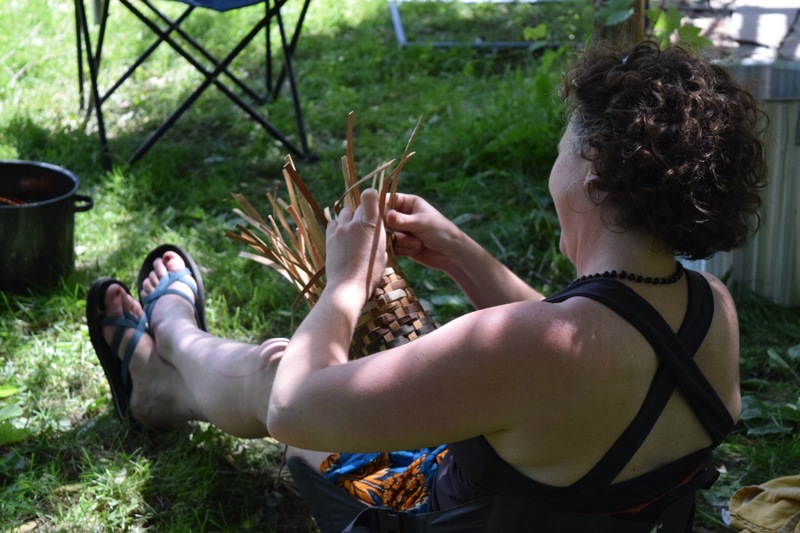 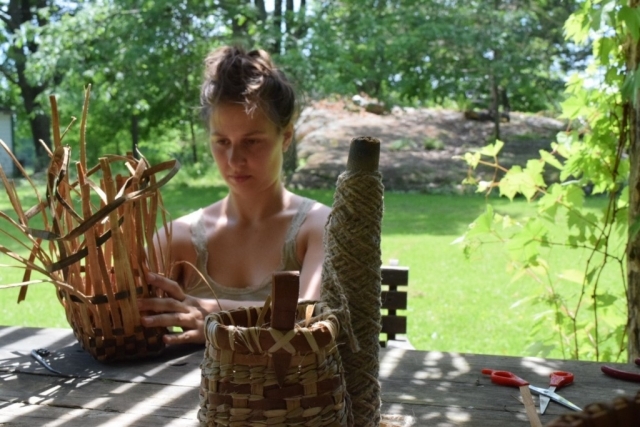 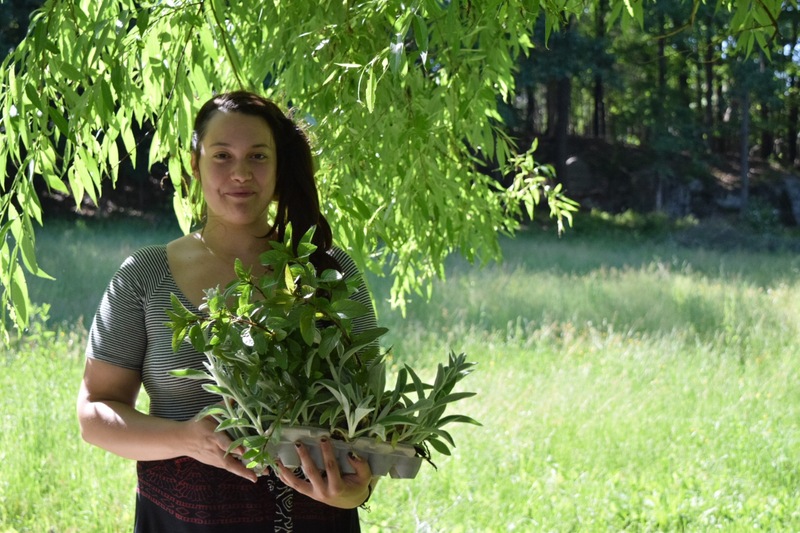 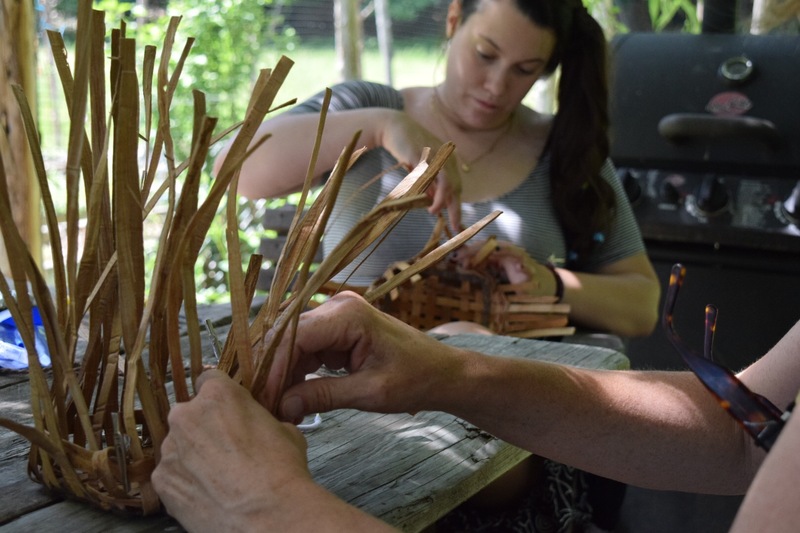 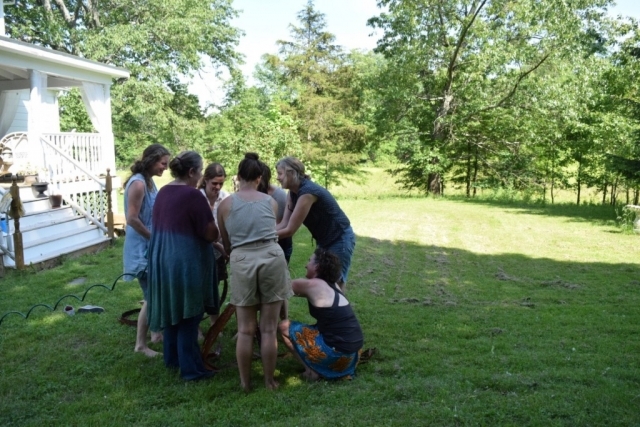 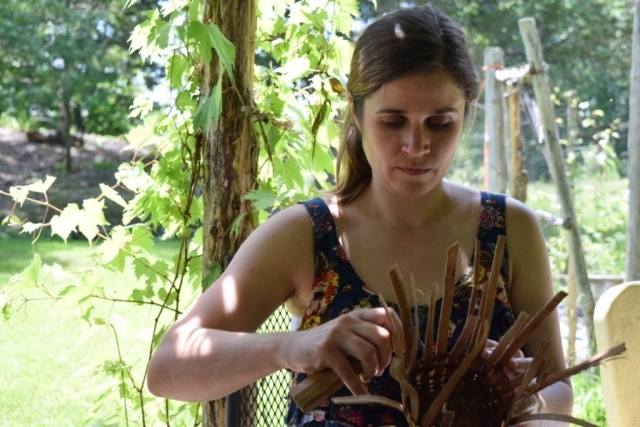 This year I have had the opportunity to launch a class that has been a dream of mine for sometime: the Wild Basketey: 8 Month Natural Basketry Series. 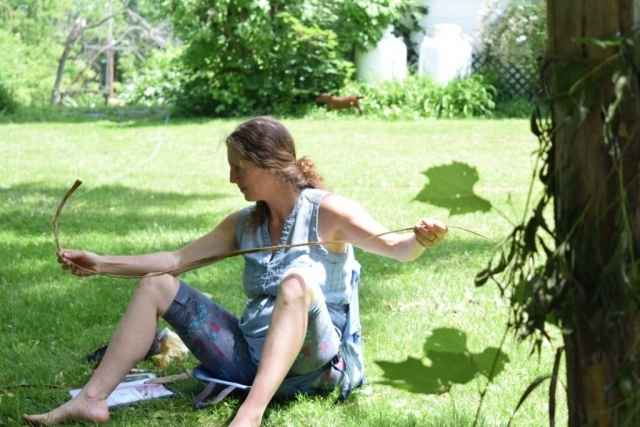 Sunday, June 11 we met for the second time and there were so many wonderful moments I caught on camera that I wanted to share them in a blog post 🙂 On our first day in May we covered an introduction to the different ways you can use bark for basketry, including both making folded white pine bark containers and harvesting and processing inner tree bark for woven baskets. 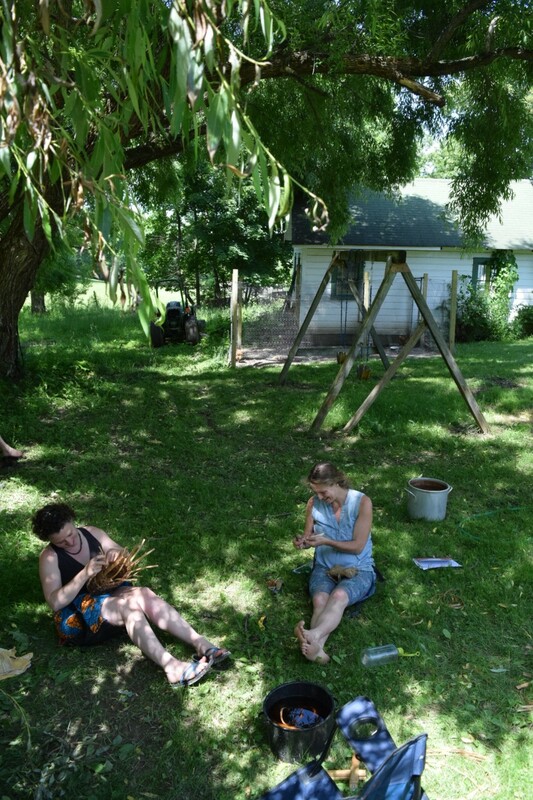 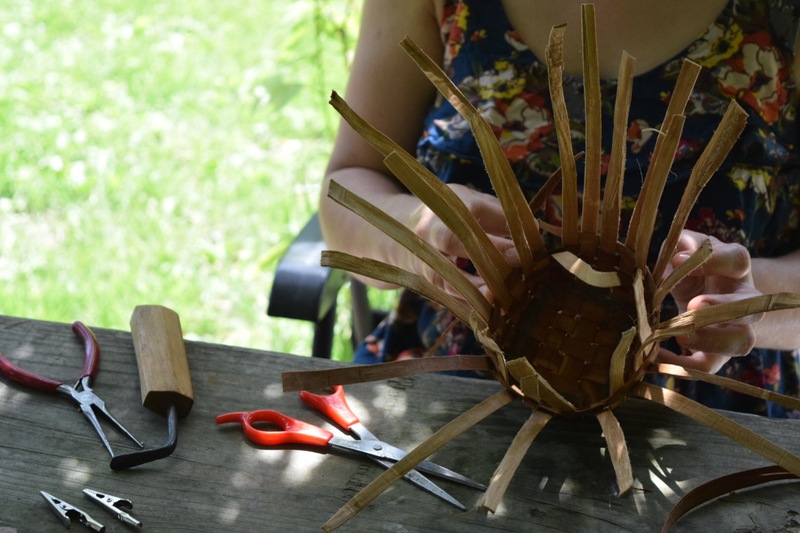 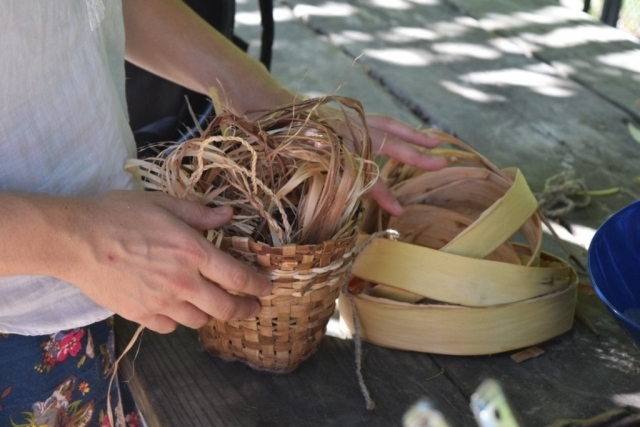 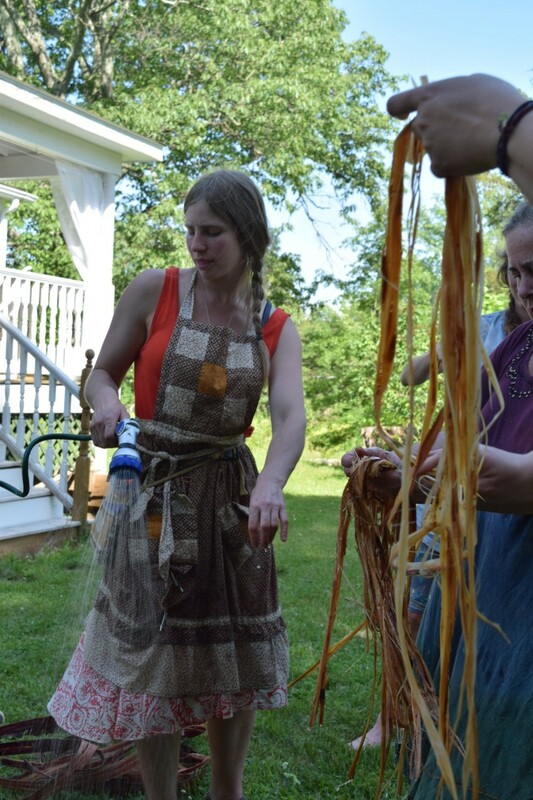 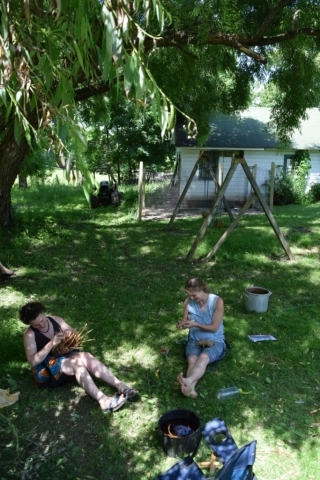 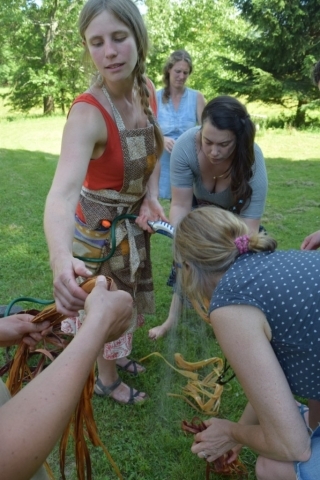 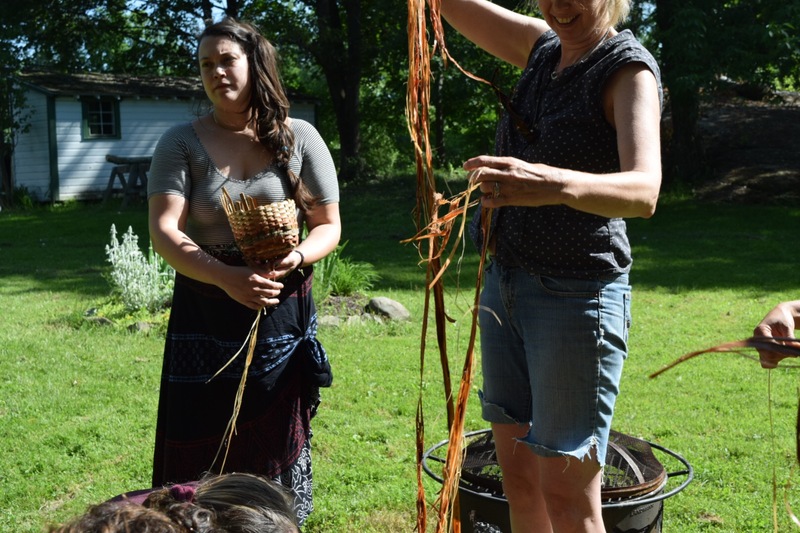 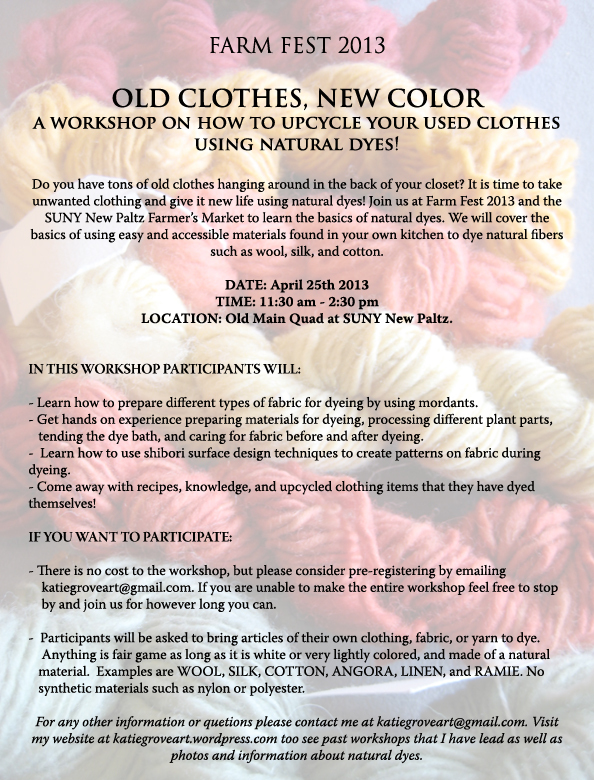 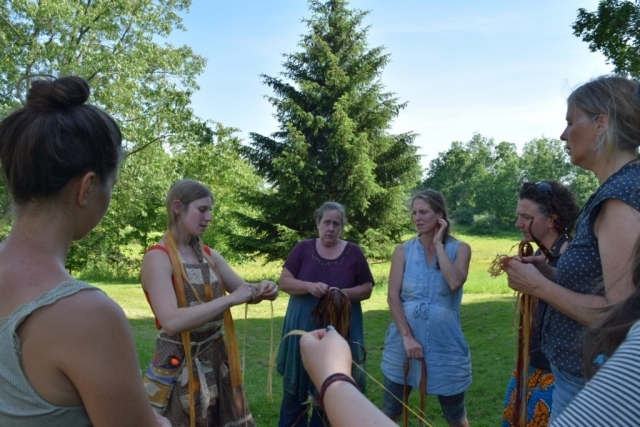 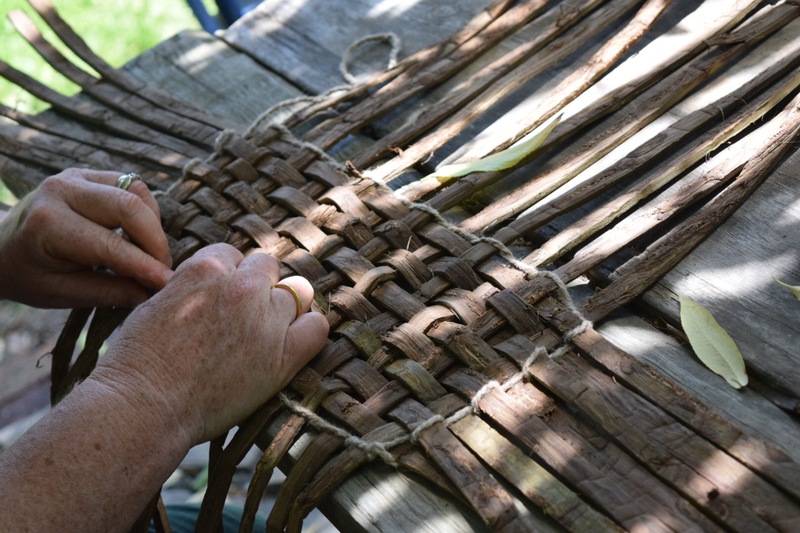 This Sunday participants learned the ins and outs of designing a woven bark container and different types of weaves. Everyone chose a different size and with this vision in mind worked with material such as tulip poplar, black walnut, Hickory, and white ash. 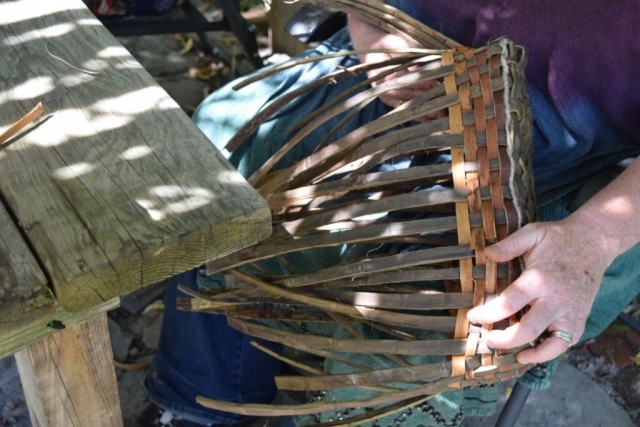 Next time we will add rims, handles, and straps to the baskets. 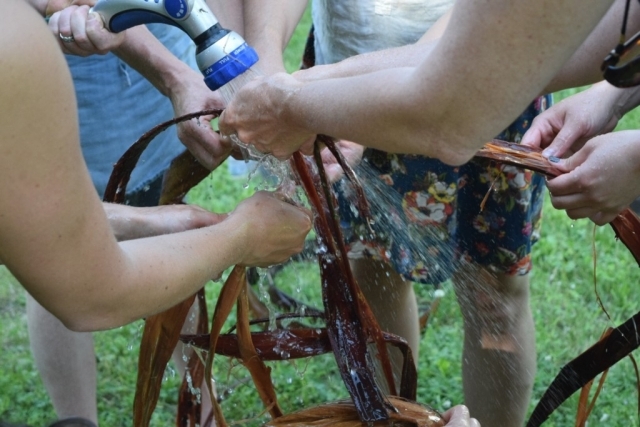 We also rinsed basswood inner bark which has been retting in water for several months. 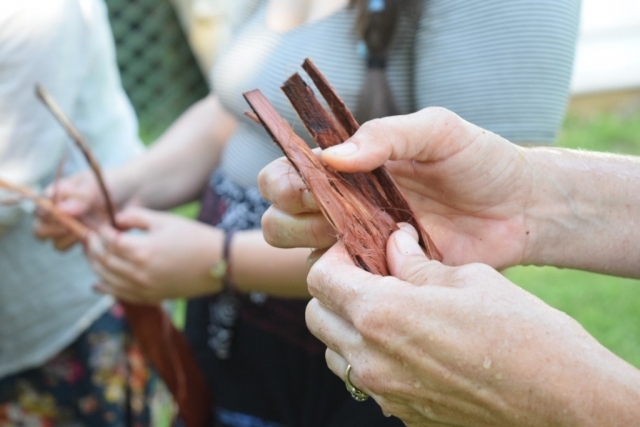 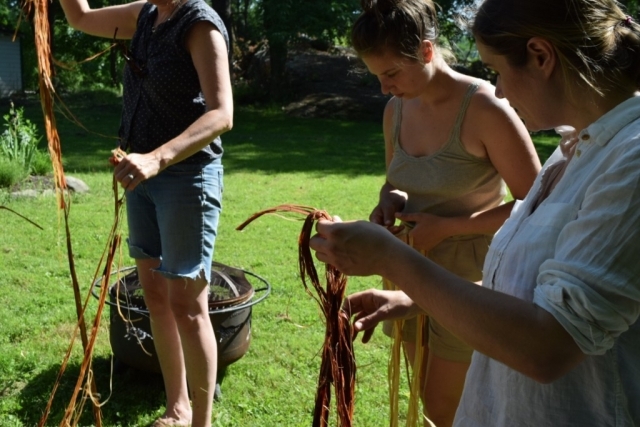 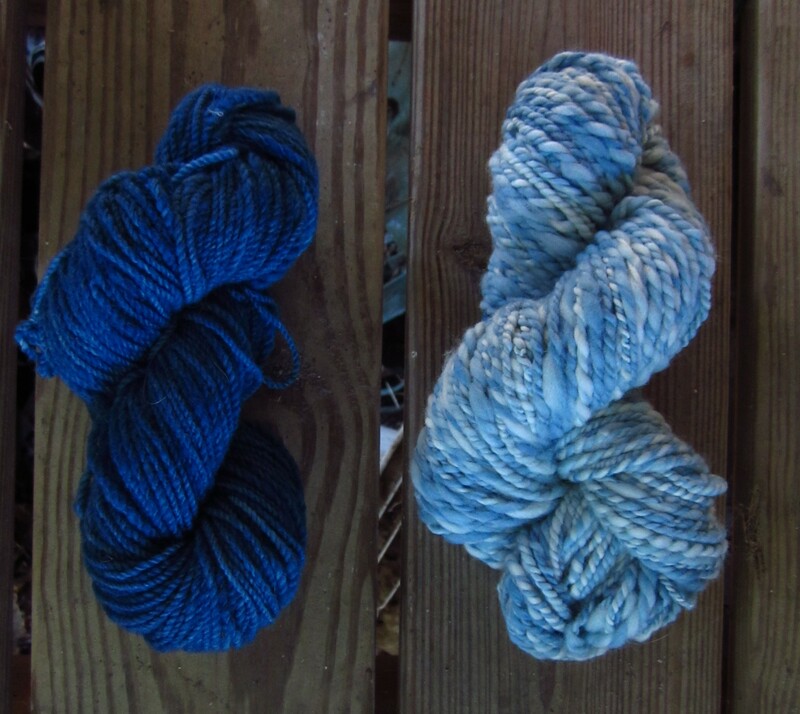 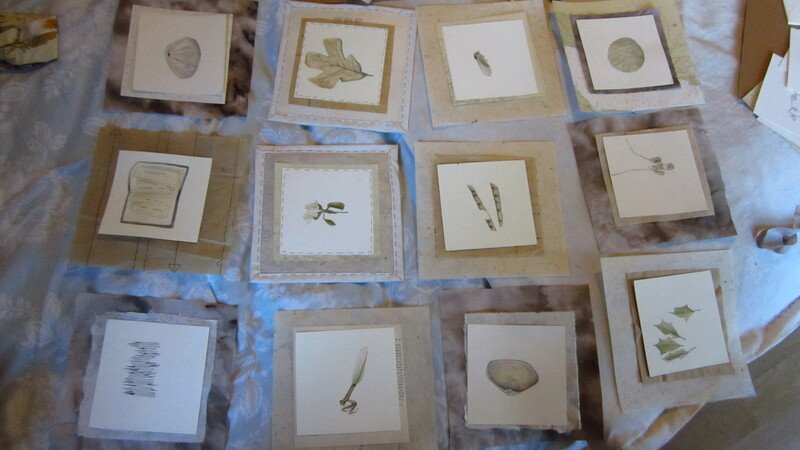 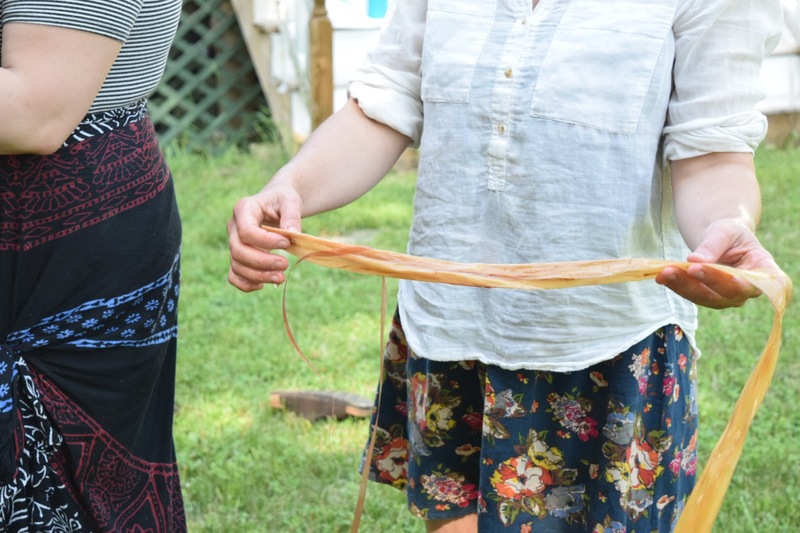 This material will be used to make cordage over the next few months and then the cordage will become twined bags in the fall. 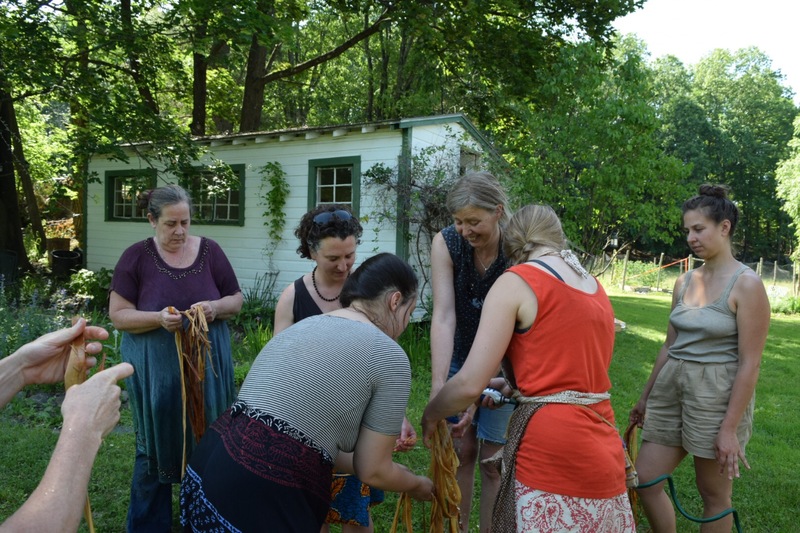 The series is full for 2017, but if you want to learn more about what we’re doing and prepare to join us next year here is the page on it. 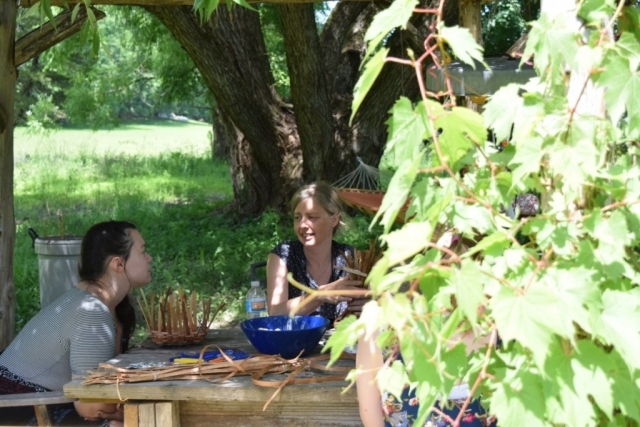 Without further ado here are a few photos from our absolutely beautiful summer day!